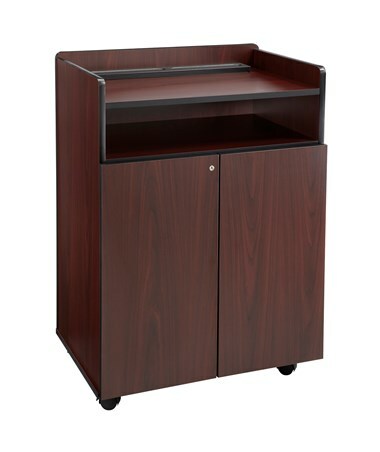 The Safco Executive Presentation Stand is a multi-functional mobile presentation stand that doubles as a beverage cart. The large 28 inches wide top surface has a pencil tray and a 2.5-inch high containment lip. Below it is an open compartment and a locking cabinet with double doors and an adjustable interior shelf. 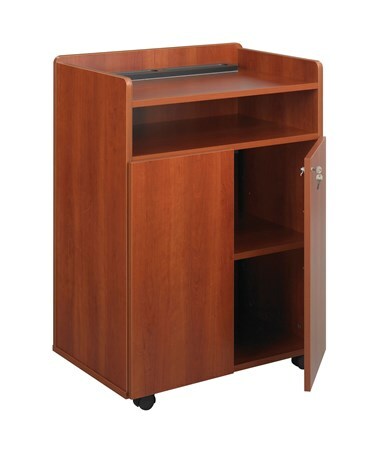 This stand is mobile on four dual wheel carpet casters and two of these wheels can be locked. 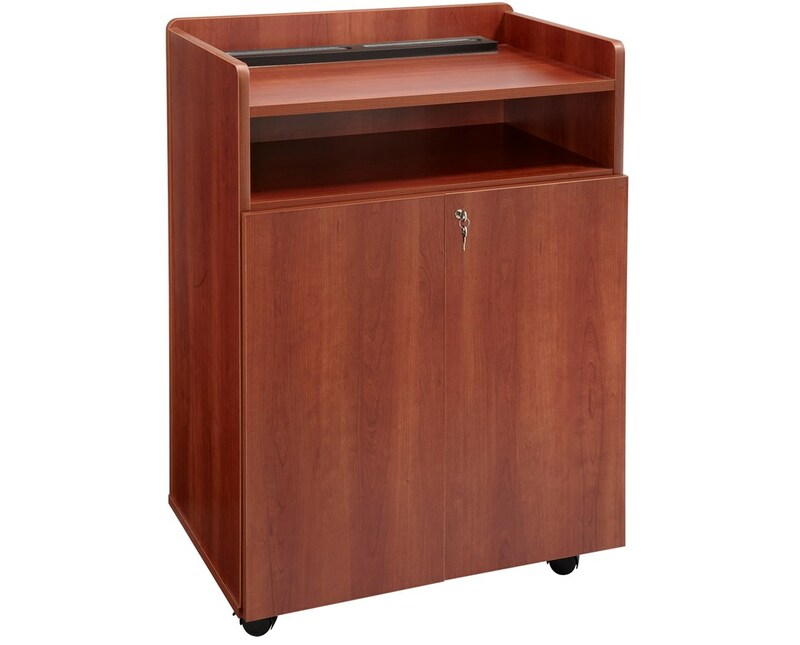 This presentation cart is made of ¾ inches thick furniture-grade particleboard with a laminate finish and is easy to assemble with the cam-lock fasteners. It also meets the BIFMA industry safety standards. 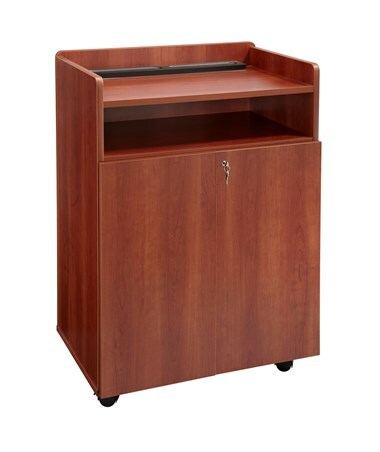 The Safco Executive Presentation Stand is available in two colors. Please select your preference from the choices above.